Turai or Ridged gourd avoids stone problem. Grind the root of ridged gourd and drink it. Stone will dissolve. Do not put too much juice or spices in ridged gourd. The consumption of ridged gourd reduces the phode-phushi and lump problem. Extract juice from the root of ridged gourd. Put this on phode-phushi and lump. 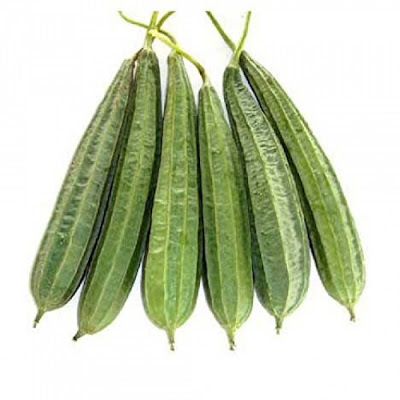 Ridged gourd is beneficial for children. It avoids urine problem in child. The ridged gourd juice avoids inflammation and urine problem. If one’s money stuck or face speech problem or problem in relations then donate ridged gourd for 21 Wednesdays. Heat ridged gourd seeds and pulp and apply it on child’s stomach. This avoids stomach pain and inflammation. Put ridged gourd pulp in clean cloth and put it on eyes. This gives relief in eye irritation. Crush the ridged gourd in cow’s butter. Apply it on spots. Cut the ridged gourd in small piece and let it dry. Prepare its powder and mix it with coconut oil. Apply it in hair. This strengthens the hair. Cut the ridged gourd and boil it. Mix turmeric, salt, spices, celery and cumin. Prepare its paratha. Extract the juice from ridged gourd pulp and take it through nose. This avoids jaundice and liver problem. Do not eat ridged gourd if you are suffering with gas problem. Do not eat ridged gourd with paratha at night. Do not eat ridged gourd if you are suffering with stomach problem during monsoon.